*region 1 USA and Canada only. 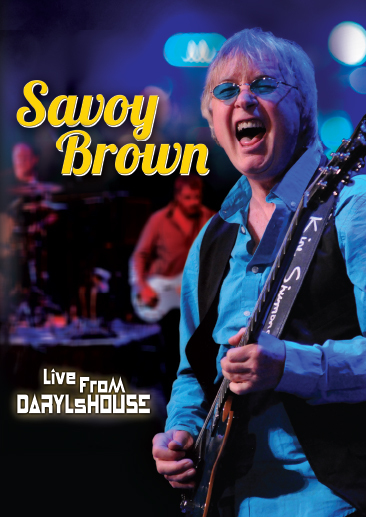 Savoy Brown – enjoy a night with the band on their Witchy Feelin’ tour in a stripped down and intimate club setting. It’s like having them in your living room….up close and personal. No frills, just some classic songs from their over five decade career and new material from the #1 Billboard Blues Chart hit, Witchy Feelin’. Leader and guitarist Kim Simmonds, synonymous with Savoy Brown, shows why he is considered one of the greatest blues rock guitarists in the world today. Pat DeSalvo and Garnet Grimm, long time band members, show how a three piece band should be…..tight, minimal and explosive. Savoy Brown, honest and true. Rocking the blues with a character built up over years of touring and performing. This is a special treat!